A turn-of-the-century mural at the Niagara Falls Power Company. Falls historian Edward Dean Adams writes, "This allegorical painting tells in vivid and powerful tone, but with eerie lightness, the romantic birth story of humanity's modern servant - electrical power. 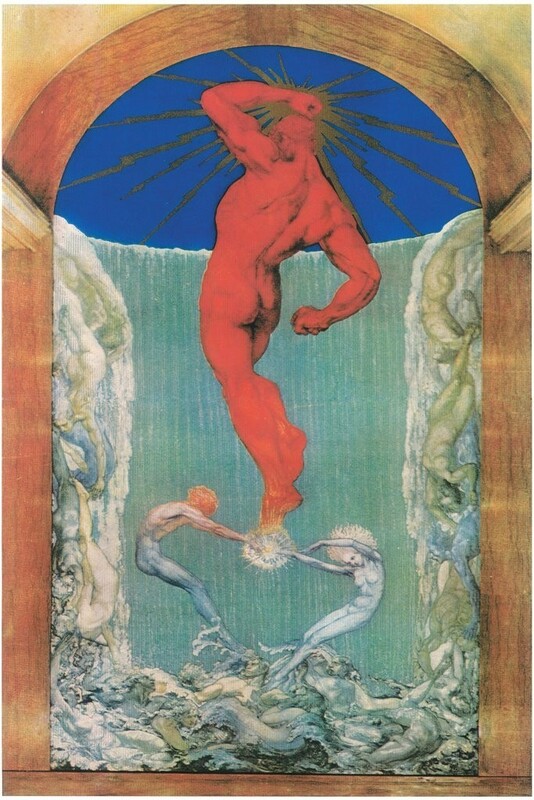 Torrents of energy tumble into the eddying pool of human waves from which emerge two poles imparting the spark of life into the giant genie - POWER.